Would you let your kids eat yogurt popsicles for breakfast? 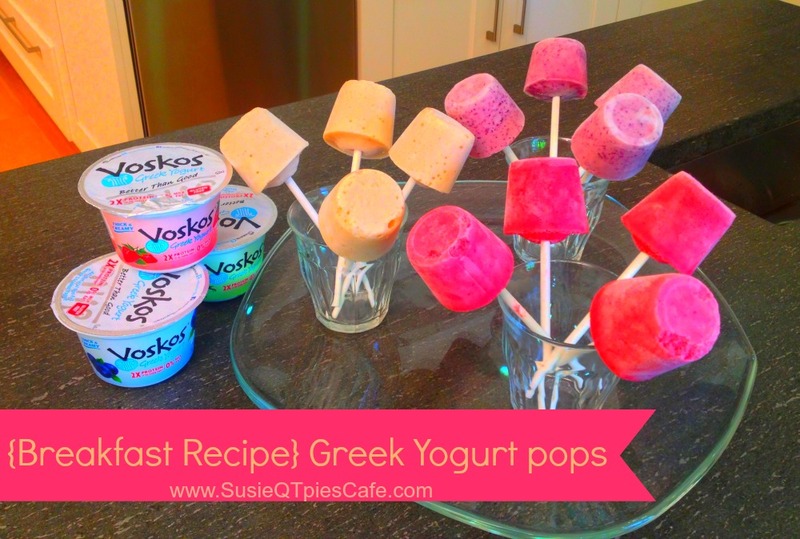 I would especially these VOSKOS frozen Greek Yogurt pops because they are packed full of protein. This is a yummy, summer healthy breakfast recipe that your kids will to make and to eat! This recipe is a video! I hope you enjoy it and give the recipe a try! This would be a great summer activity for your kids, too! Here is a chart from VOSKOS comparing their homemade yogurt pops with store purchased pops. They want you to see that their is lower in calories and packs in the protein. Greek Yogurt is my favorite yogurt and I'm slowing trying to convert my teens to this thinking, too. For more recipe ideas, you can follow VOSKOS Greek Yogurt on: Youtube, Facebook, Twitter and Pinterest. my kids love greek yogurt...these sound easy enough to try! These look yummy! My kids love yogurt, they'll like these for breakfast. Lunch and dinner as well, I'm sure! My little ones will just love this breakfast treat, a great idea! Thank you so much for sharing with Full Plate Thursday and have a great week. I love this - my kids would think it's dessert for breakfast - WIN! I'm stopping by today from Sugar & Spice. OMGosh the kids would love I keep saying I need to get on some Popsicle this year!